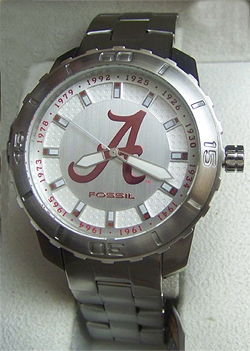 Click the button below to add the Alabama Crimson Tide Fossil Watch First 12 National Champions Watch to your wish list. 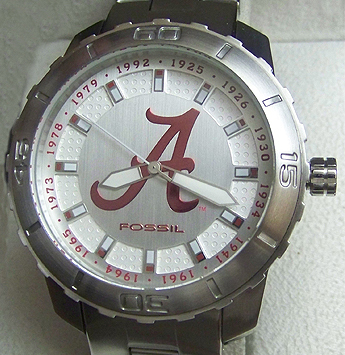 Fossil Men's Style Li2998 Collectors Limited Edition, New. 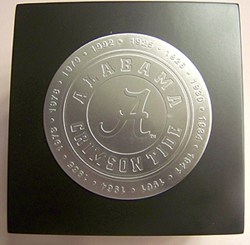 Commemorating the first 12 National Championship Titles. LAST ONE: This Item is listed on multiple sites and will be pulled from all sites when it sells. 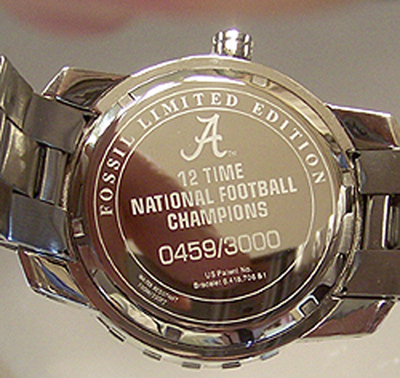 Your watch will have a different number than the one shown. 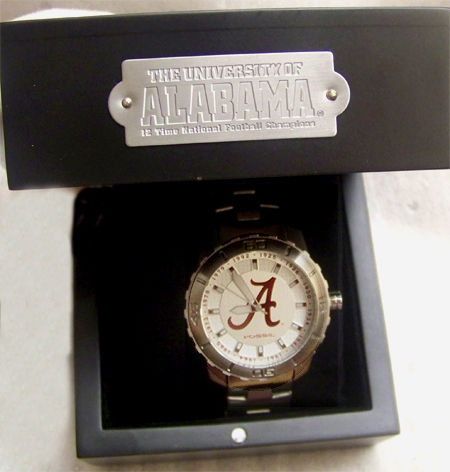 This picture is included to show the back of the watch. 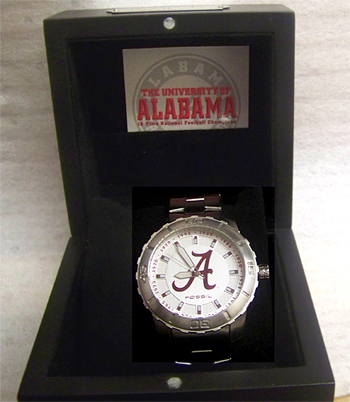 This Special Limited Edition Alabama Crimson Tide Commemorative Sports watch features a beautiful Alabama Crimson dial with Brushed Stainless steel case and in a wood case with a finely etched commemorative logo plaque. 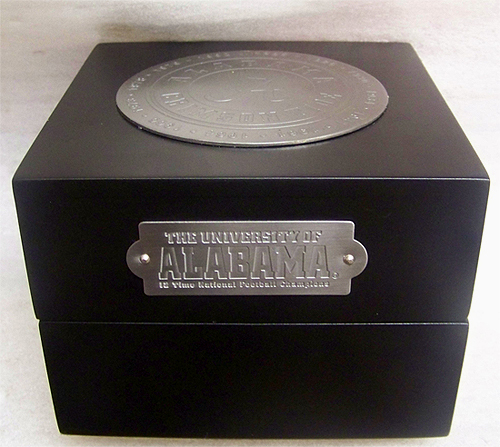 Each of the first 12 Championship years is identified on the hour markers around the dial as well as on the plaque. This is our last of these and was a display item. There are some visible scuff marks on one of the band links and some minor visible scratches on the case back occurring during a battery change. Because this one is less than perfect: We will provide a return label if you are not satisfied with its condition upon receiving this watch. In HAND so SHIPS NOW!